Having trouble getting to the gym? You can still have great looking hair all year long with these healthy hair tips for working out your curls. Every curly knows that brushing or combing curly hair when it's dry removes curl and causes frizz. 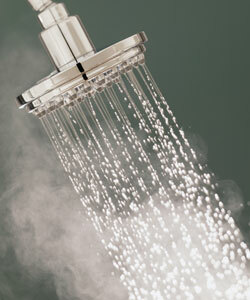 Running your fingers through your hair when you’re in the shower will give you bounce back when it dries. A great shower comb can also do the trick when your fingers start to feel the burn. 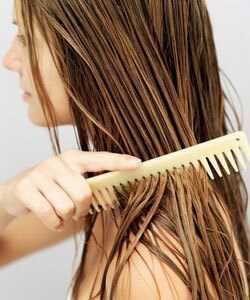 Make sure to use a wide-toothed comb to detangle, starting at the ends and working up. This reduces breakage since you’ll be slowly and gently getting through tangles, and not pulling through them from the top. Remove build up by detoxing your hair. Product build-up is from products that have heavy oils (excluding essential oils) and non-water-soluble silicones in them. These ingredients coat the hair preventing it from absorbing the moisture your curls need. The hair will become dry and very brittle because of the build-up of these ingredients, causing the frizz everyone is trying to avoid. To prevent product build-up, many curlies have embraced the no shampoo (aka Curly Girl) method. 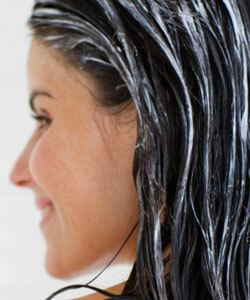 Cleansing is just as healthy for your hair as it is your body. Try Carol's Daughter Rosemary Mint Purifying Shampoo to clean and remove product build-up and daily toxins without stripping away essential moisture. 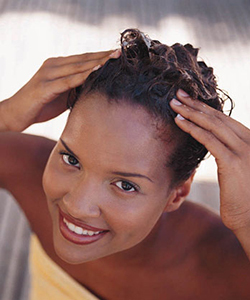 Do a protein heavy deep conditioner to get shiny, happy curls! There's no better conditioner for the hair than protein. And there's no better source of vegetable protein than Aubrey Organics Blue Green Algae which is made up of over 50% utilizable protein, all the major amino acids, and a long list of vitamins and minerals. We combine it with organic shea butter, organic aloe and other moisture-rich herbals for deep conditioning and repair. 4. Make those curls SWEAT! Deep condition in the sauna or shower to maximize your curl definition. Hit up your local gym and use the sauna to restore those curls! 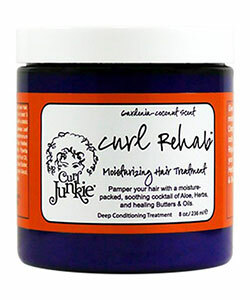 Give your hair the moisture it deserves with Curl Junkie Curl Rehab, a wonderfully rich cocktail of aloe, herbs, healing butters and oils that will rejuvenate and restore your precious curls. MORE: Does Heat Help Protein & Deep Conditioning Treatments? Get a good curly cut to shake off that excess weight and show off their definition. Split ends are the first to frizz, so eliminate them by getting your curls trimmed every 6-8 weeks. Be careful not to go too short since shrinkage can be a real problem in humidity. Find the best stylist for your curls using NaturallyCurly.com’s salon search section.